It's no secret that small businesses make up a major part of any developed country's economy -- including that of the US despite the fact that it has some of the biggest big-business giants in the world. And the good news for all these great guys is that with the advancement of IT (Information Technology), it's getting ever more easy to manage their businesses. It’s no secret that small businesses make up a major part of any developed country’s economy — including that of the US despite the fact that it has some of the biggest big-business giants in the world. And the good news for all these great guys is that with the advancement of IT (Information Technology), it’s getting ever more easy to manage their businesses. This is great news for those who are looking to get out of day jobs and start their own businesses. All they need to do to set up a groundwork for a small freelance business infrastructure is install a few apps and get used to how they work. Of course, marketing and creating a good reputation is important for any business; however, for the purpose of today’s article, I’ll focus on the support system that any freelancer would need to handle the non-core aspects of their business. Joomla! : This is a powerful open source Content Management System that has extensive online support and a number of themes available online. However, despite its easy-to-use interface, it is quite laborious to use. For example, in order to create a blog, you need at least 3-4 different extensions to ensure you can display archives, have social bookmarking enabled, allow multiple categories assigned to each post, etc. Therefore, if you have a website that’s more content intensive, I would strongly recommend using WordPress. 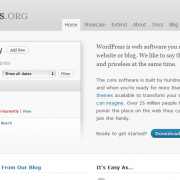 WordPress: This is by far one of the easiest Content Management Systems to use. For example, I had the content ready for a trial website my sister wanted to create for her upcoming business: www.process3solutions.com. It took me less than 45 minutes to get this up and running on WordPress. Evolution: This is a powerful email and calender application the comes with default on Ubuntu Linux. However, the only reason I don’t like to use it is because it doesn’t allow me to define my own fonts for outgoing messages. I know, many people scoff at the HTML format for sending emails, but it’s important for me. That’s where Evolution doesn’t quite cut it for me. For those of you who don’t mind its lack of formatting features, it is the perfect solution for all your email, tasks, and calender needs as it integrates right into Ubuntu’s task management system. For a more cross-platform solution, I highly recommend Mozilla Thunderbird. Thunderbird: This email app blows MS Outlook right out the window in terms of stability and support for IMAP email. I have used it for nearly 3 years now, and I couldn’t have been happier. A small plugin called Lightning can added calendering and task-list capabilities to it in no time and works like a charm for your regular email and time-management uses. Thunderbird’s smart settings detection makes creating new accounts a matter of seconds. It also has one of the most impressive spam detection — again, it is leagues apart from anything Outlook offers — and it’s search filters are equally impressive. 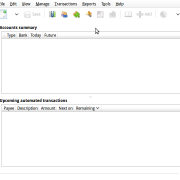 GnuCash: This is one of the most extensive free accounting applications available on the market today. It comes with an excellent and detailed manual that I recommend for anyone trying to manage their own accounts – regardless of whether they choose to use GnuCash or not. The main reason for this is that the manual takes you through an excellent and easy tutorial of all the basic accounting concepts that can be used even to create your own books with pen and paper. OpenOffice.org: This is the best free office suite, period. Nothing comes even close to the kind of features, stability, and cross-platform compatibility that OpenOffice.org offers. Hopefully, the tradition will continue with the creation of LibreOffice. I was keenly looking forward for the project to step out of Oracle’s shadow and create an independent entity that continues to do the job without worrying about whether Oracle will choose to support them or not. 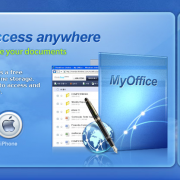 Online Office Suites: While Openoffice.org is the best free office suite, it’s possible that you may receive a file with such heavy MS Office-based elements that OpenOffice.org can’t map successfully. In such cases, online software such as Zoho Docs, ThinkFree Office, or even Google Docs can come to your rescue. While I wouldn’t recommend using these online apps for all your documentation needs, they are definitely something you should have access to at all time. 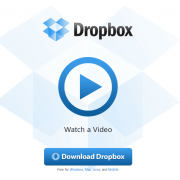 Dropbox: This is one of the best application that helps you synchronize your stuff across multiple workstations and share things with your friends or colleagues. With a simple daemon that sits quietly in your system tray, Dropbox keeps synchronizing every single change you do to the folders and files it is asked to watch. Each change is recorded separately as a version update and is available to you at all times even if you have deleted or moved the file — sort of like the Time Machine in Mac OSX. The best part about Dropbox is that you can choose the bandwidth you’d like to allot for its synching activities. Moreover, it transfers only the changes to your files rather than the files themselves, which makes it very bandwidth-efficient. Once the synch with the server is complete, the moment you start working on the other computer, all the changes will automatically be downloaded with the exact same directory structure so that you don’t ever have to email yourself another document again. For the purposes of my business, I have my own templates created in OOo Calc and Writer, which works well for me. 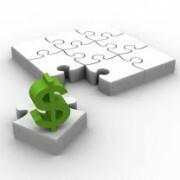 However, for those who’d like to automate this process, there are a number of great and free applications you can choose. In fact, GnuCash does this job quite well if you’re not looking for a jazzy invoice full of images and watermarks. The mistake most new business owners do is that they focus only on the core aspects of the job and do not pay enough attention to the rest of the necessary evils required to run a business successfully. They think that the rest of the stuff can be taken care of along the way. The problem with this approach is that once you get to work, things could get so busy that you never get enough time to set the rest of the stuff in order. In other words, you would end up doing all your accounts at the end of the year without knowing about how many things you’ve lost track of along the way, you would have basic invoices that aren’t very professional, you wouldn’t know what kind of tax laws apply to your freelance activities, and you may end up paying a lot of money to consultants to help you with the mess that could have been avoided with a little planning at the beginning. This is a truly useful list with some smart comparisons. Thanks for putting it together. I'll ref it in twiiter. I'm glad you liked the article Dawn. Thanks! Thanks for the tips ! Very useful indeed .. I am actually going to use GNUCash and try to automate my Invoicing process. Thanks again! and keep up the good work. Thanks for the nice comment Missa. We are glad you enjoy our posts. Interesting tools. I will try them. Thank you ! You are welcome. I hope you find some useful ones. These are really effective tools. I will definitely be using these a lot more.